To celebrate the launch of Dark Souls II, I have prepared my top five favourite bosses from the entire Souls series. These games do almost all of the bosses so effectively that it was truly a challenge to come up with the top five, but, I persevered and will explode your mind with my exceptional choices. To make this list, each boss had to be unique, atmospheric, well designed, and have wonderful music to boot. They must also be a boss that cannot be exploited easily, a la Gwyn. Hey nightmare, where’d you get them teeth? 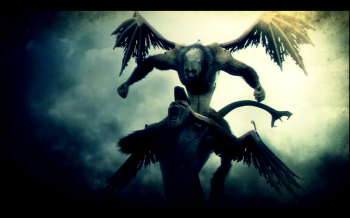 Of all the bosses on this list, I have never been so enraged by a fight in the Souls series. Picture this if you will: you traverse a hideously atmospheric tower of thinly crafted bridges, hidden elevators, and winged creatures that ambush you from all sides. After somehow making your way through the dark pathways, killing your beloved Yurt, and trudging through a vile swamp of red pus and pulsating veins, you find yourself atop the highest tower. You naturally assume that after the nightmare that is ‘Tower of Latria’, they’d throw you a bone and give you a pushover for a boss. This is not the case however, as you’re fighting two large, flying, snake tailed, lion headed creatures that are relentless in their combined assault. The devilish design of Demon’s Souls is never more apparent than here as you’re forced to fight them both at the same time on a narrow bridge, where one charged attack from either one will send you falling off the ledge into the chaos. This is made even worse by the fact that as you’re attacking one, the other is either floating in the distance shooting dangerous magic at you, or out of sight, waiting in the shadows to ambush you from behind. There is no brilliant tactic for this fight, it’s simply a battle of attrition as you slowly chip away at them, while using all of your precious herbs to counteract their ridiculously powerful attacks. It may sound like a nightmare, but it’s an utterly fantastic nightmare. I apologize for what I am about to do to you. Knight Artorias was a boss that reminded me how effective a straight up brawl can be. 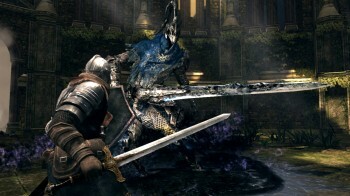 He is a unique boss in that he isn’t a huge, towering brute, simply a skulking knight with a greatsword. That said, he is a ruthless, intimidating boss with immensely satisfying, unpredictable attack animations and a power up stage that will kill you in seconds if you do not stop it. What makes him truly interesting though, is that he has arguably the best sub plot in the game. If you’ve fought him, you’ve probably noticed that his left arm is limp, and that he uses his two-handed sword with one arm. This is because he died to protect Great Grey Wolf Sif when he was just a pup. Artorias and Sif have a connection that touches most people that play the Souls series, but witnessing all of the events that unfold – that I dare not spoil – make this fight feel very unfortunate. I never want to actually fight Sif or Artorias because they don’t feel evil or malevolent, just an obstacle that you must overcome to progress. Manus is a fight that I hate and love. I hate how challenging it is, yet love the feeling of completing it. He is like no other boss in that there is a specific pendant you can loot beforehand to defend against his dark magic attacks. It was an excellent design choice as it really changed up the pace of the Dark Souls bosses. To use the pendant, you had to equip it to your Estus slot, so you’re effectively swapping between Estus and the pendant making an already tough boss fight that much harder. The other thing that makes him so memorable to me is his overall design. He’s horrific, grotesque, and he glows in a way that almost makes him beautiful. Those red eyes are the only thing that stands out in the endless black, so he has a sort of aura that he gives off that makes you feel uneasy. What’s more, he has a massive arm that will repeatedly smash everything in the immediate area, and getting caught in even one combo will give you an almost guaranteed game over. He is excruciatingly hard, and the only thing that makes him easier is that you can summon Great Grey Wolf Sif. Not only is Sif the best summoned phantom in the game, but this fight makes Sif and Artorias’ story all the better, and I cannot get enough of it. Come back alive, I need your business. Flamelurker was easily the best boss fight I’ve ever had in a game until I played Dark Souls. He is a bit underwhelming to look at as he is just a hulking beast that is essentially on fire, but what he lacks in design creativity, he makes up for with near-perfect design. He intimidated me so much from the fan outcry online that I literally gave up on Demon’s Souls for several years until I had the gall to take on him and the rest of the game. Flamelurker starts off as an easy enough fight. He’s menacing and fast and can appear to be overwhelming, but he doesn’t do much damage so you can generally shrug off his hits without worrying… that is, until you actually start to win. He is amazing because he ramps up in difficulty as the fight progresses. What starts off as a manageable encounter leaves you sweating, shaking, and heart pounding after you win or lose. 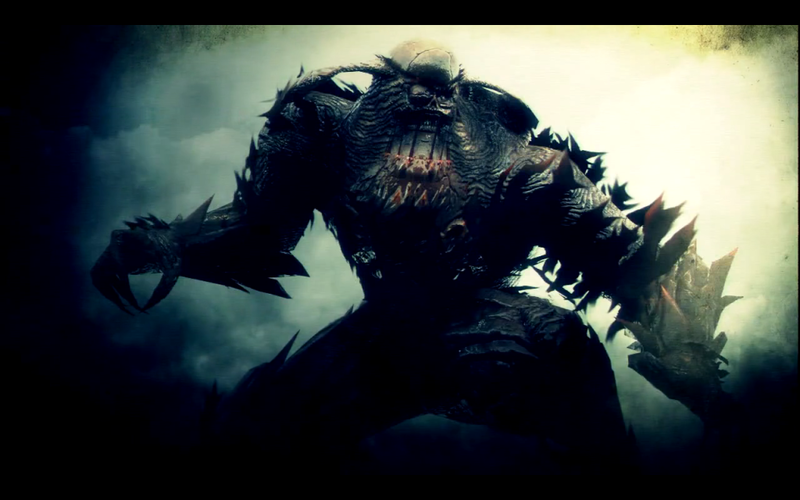 He becomes more aggressive as you take off his HP, throwing fists, breathing more fire, and charging you like a bull. If this weren’t enough, the radius and damage of his attacks increase, essentially making it nearly impossible to get more than two or three sword attacks in before you have to run and hide to recover health, assuming he doesn’t trap you in a corner or do the aforementioned bull charge. Good luck is all I have to say. A lot of people must’ve expected this to be the number one spot, and that means that you understand the absolute perfection that is this boss. Like Flamelurker, O&S was the one encounter I was absolutely dreading in Dark Souls. They are notorious for being merciless and cruel, but everything about this boss fight is just perfect. You have Anor Londo; the most beautiful area in Dark Souls that subsequently has the most vicious and menacing boss encounter. It is a perfect contrast to the appearance and warm atmosphere of the environment. Furthermore, the music is a dissonant god chorus that sums up the essence of O&S’s terror, making the fight with them all the more intense and nerve-wracking. 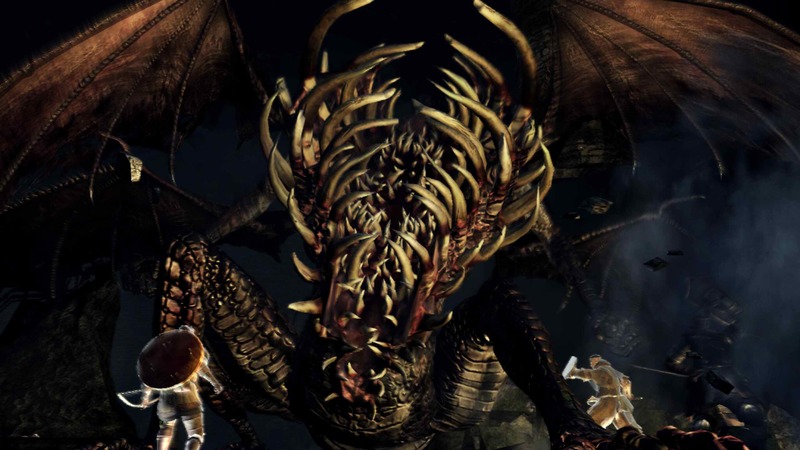 In the fight itself, you fight both Ornstein and Smough at the same time, but it is not simply a two on one encounter. Depending on the order in which you kill them, they have a drastic change of character that shocks everyone who has taken part in the battle. If you kill Ornstein first, Smough crushes his body with his massive hammer, absorbing the power of lightning to use against you. If you kill Smough first, Ornstein grows dramatically in size, making him Tower Knight 2.0 with lightning and agility. This is incredibly daunting because you had just spent countless lives trying to kill them, and after a gruelling fight that drains your Estus and elevates your heart rate, just to have From Software slap you in the face for getting cocky. 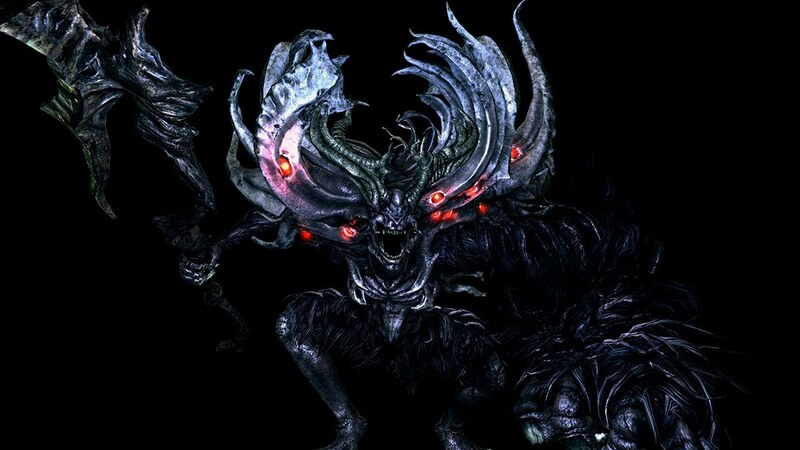 It is this design that truly makes Dark Souls shine, and while I could gush more about this boss fight, I needn’t, as you have either experienced it and know of what I speak, or you haven’t played Dark Souls and should immediately. Next articleWhatever Happened To… The Alien Hominid?